University life can be difficult, and sometimes students need help along the way with tips for uni students. Why Take Tips For Uni Students? Living independently and being able to come and go as you please may sound fantastic at first, alongside the party lifestyle and lack of income being a uni student after a while can become difficult. Bills, partying, food, clothes and transport are all things you need to take into consideration when planning out your costs for the month. One of the biggest challenges you may face is bill paying. You aren’t used to this added expense, and you won’t realise how expensive electricity, gas and water bills are until you are the one paying them! We understand that it can be difficult living as a university student and that the debt doesn’t finish once you leave, you will be paying back the costs for years. 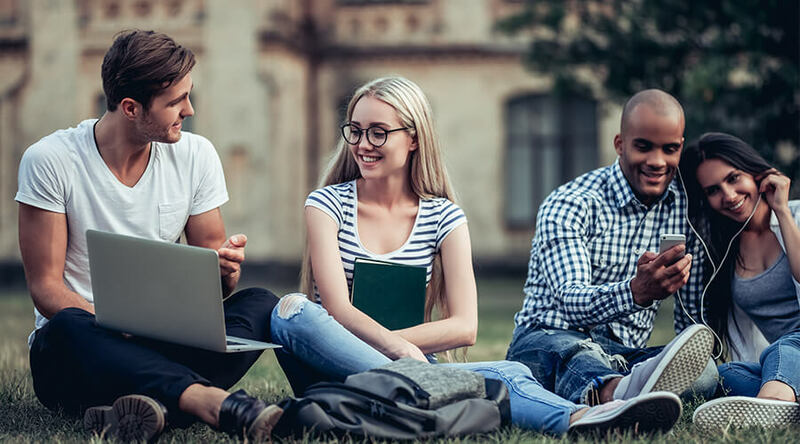 So it’s important that while you are at university, you should have fun, but also take into accounts expenses and ensure that you don’t get yourself in financial situations that can be difficult to get out of. Which is why we have devised a list of tips for university students and how you can save money and tackle things like expensive bills and day to day expenses – so keep reading! At a young age, it’s difficult to stay on top of chores and clean up after yourself without your parents nagging after you. It can be tempting to leave your washing up until the next day, but this will just clutter up the kitchen and make it dirty. It’s better to clean up as you go as it gives you more time to relax after and saves the need for deep cleans of your entire uni kitchen. As well as this, remember that you will be living with other people, by not cleaning up after yourself you could irritate them which is not a situation you want to get yourself in with the people you live with. Take it upon yourself to carry out simple cleanups of your own stuff to keep the peace, and if you feel as though somebody isn’t pulling their weight, be sure to let them know! Don’t Waste Gas, Water Or Electricity! Bills are another new added expense that you have to pay for as a uni student. This mainly applies to those that are in their second year of university and are paying for their own home expenses and have their own property. Although if you are still in first year, it’s a good idea to read up and get clued up. Saving water involves simple things like turning the taps off when you brush your teeth, fill up the washing bowl and do a big wash up rather than rinsing one plate. As for gas and electricity, you use these a lot more, and they are generally more expensive than water bills. At this time of year it can be really tempting to turn your heating on, but wrap up warm and get your dressing gown and slippers on or sit with a blanket, and you may not need to. As for electricity, ensure all lights are turned off when a room isn’t in use, and that plugged in appliances are switched off when not in use. Take a look at this article for more energy saving tips! Also as you are renting, it is a legal requirement that your landlord/lady ensures that regular boiler servicing Milton Keynes is carried out to ensure that your boiler is in good condition that is safe and efficient. Student discount is there for a reason! Be sure to utilise it, as you can over time save a lot of money on your purchases. Applications such as UNiDAYS allows students to make accounts with a photo and some basic information to prove that they are a student. They can then start receiving big discounts on the vast majority of high-street shops as well as travel and restaurants and much more! Student discount has allowed students to still do the things that they enjoy for a more affordable price; it’s definitely worth the application if you have a student status and haven’t already applied! Coach cards and other travel cards can save you a lot of money on travel. A lot of university students have to travel to and from campus to their lectures, which over time can add up to a lot of money. Bus passes normally need lump sums to purchase, but they work out a lot cheaper than buying daily bus tickets. As well as this a young person’s coach card can save you big discount on travel; these are really handy for those who want to regularly visit home. And finally, rail cards can give you up to 30% off of all train lines. Which is also good for those who frequently travel home. The main rule for a successful shopping trip is never to go food shopping when you are hungover. It tempts you to purchase as much junk and unhealthy snacks as you can get your hands on, and snacks that you can’t make any meals with that will disappear extremely quickly. Plan out your weekly shop by making a shopping list of ingredients that you can use to prepare meals. Although, also ensure that you purchase the basics and that you include some ready meals or simple pre-packaged food that you can make after a long day at university or when you are feeling a bit rundown. Just make sure that you plan out your meals and ingredients to make the most out of your money and that you include some healthy things to keep a balanced diet! In order for university experience to be positive, it’s essential that you make the effort to stay in shape, stay healthy and of course enjoy it! By following these tips, you can enjoy uni while saving money. For any other gas services Woburn Sands, please contact a member of our team today!